Hypnosis is a state of deep relaxation, combined with heightened suggestibility and concentration. It is a direct way to reach the subconscious, which governs our habits and behavior. While you are deeply relaxed, your hypnotherapist makes suggestions about what positive changes you are ready to make in your life. You visualize these changes and, after the session is complete, you naturally act on the suggestions to achieve your goals. It is normal to have healthy skepticism, so please keep an open mind. Hypnosis is actually the most natural form of healing in existence. The Egyptians first utilized hypnosis as a method of healing around 1000 BC. By the 1800s Sigmund Freud and Carl Jung were utilizing hypnotic techniques in their work. Finally, in 1958, the American Medical Association officially approved the use of hypnosis as a therapeutic practice. You are relaxed and in total control throughout the entire hypnosis session. Your first session includes an orientation to hypnosis. Once you completely understand how hypnosis works, we develop a personalized program for achieving your goals. 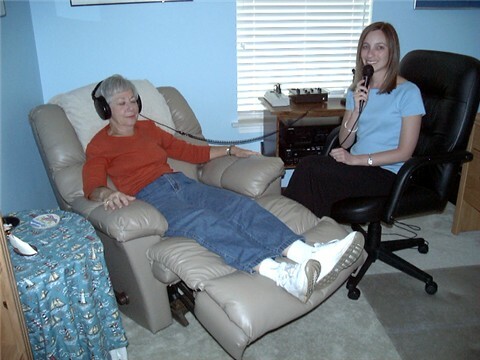 Each session lasts for about 75 minutes, and most hypnotherapy programs are 1 to 3 sessions. For my Internet clients who purchase custom hypnotherapy CDs or mp3s, we develop a personalized CD or mp3 by communicating via telephone or email. Once your program is complete and your CD is shipped or your mp3 is downloaded, simply find a quiet place where you will not be disturbed, and play your recording. Do not listen to your CD or mp3 while driving your car or operating machinery of any kind.